In a piece he published in the NYTimes, Artur Brooks argues that acting grateful can actually make you grateful. We have long been conditioned to believe that gratitude is not real unless it is sincere, but new research shows that emotional authenticity is somewhat overrated. Apparently, an article in the journal Social Cognitive and Affective Neuroscience identified a variation in a gene (CD38) associated with gratitude, suggesting that we can actively choose to practice gratitude, and become happier as a result. The power of positive thinking at work, as it were, which is something we’ve been saying for years. It is understandable if you don’t feel particularly grateful for the LSAT. It is a stressful experience under the best possible circumstances, score improvement takes a significant commitment of time and effort, and setbacks are not uncommon. Bad grades in college? The LSAT can fix that. If college was a never-ending party or you simply struggled to adjust, you may be stuck with a GPA that is less than stellar. This could be a setback for a range of professions, from medicine to consulting to investment banking, but thankfully not so much when it comes to law. Your GPA still matters, of course, but not nearly as much as your LSAT does. In fact, the typical admissions index puts something close to 70% weight on LSAT vs. 30% weight on GPA. In other words, a single LSAT score can undo four years of not-so-stellar grades. Stuck at a dead-end job? The LSAT can fix that too. You’ve been out of college for a few years (or more), and are looking to make a career change. You can go to business school, of course, but what you did after college will be one of the most critical aspects of your B-school application. Also, compared to the LSAT, the GMAT matters a lot less (and you need to do math). Not to mention that if you’ve been out of college for ten years or more, gaining admission to business school will be an uphill battle, and the opportunity costs may outweigh the benefits. Not so much with law school. Want a six-figure salary? The LSAT can help you get there. Hopefully your legal education is more than a means to an end, but let’s face it—law is still an exceptionally lucrative career path. The mean pre-tax lifetime value of a law degree is approximately $1,000,000. 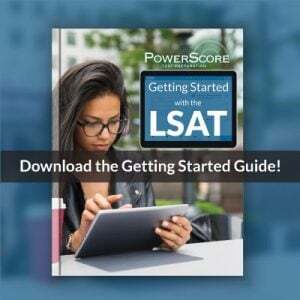 A high LSAT score is one of the fastest tickets to an upper-middle class lifestyle, and thankfully it doesn’t involve doing anything illegal. 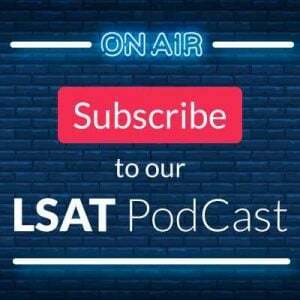 The correlation between a law school’s average LSAT score and its rank is striking, and top school rankings tend to closely correlate with the private sector salaries its graduates can expect. Best of all, if you go to a reputable school and do well, you can expect to start making this salary a mere three years down the road. No residency training necessary (talk to your doctor about that). You want all of the above, but don’t want to pay $250K for it? 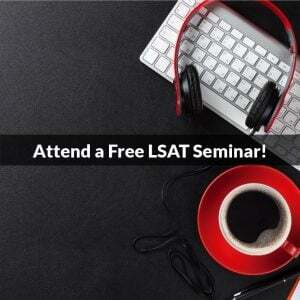 With a high LSAT score, you don’t have to. Most schools offer merit-based aid to applicants whose numbers—particularly the LSAT—exceed the medians. Your numbers need not be off-the-charts high. Plenty of schools are offering merit-based aid to applicants whose numbers are just slightly higher than the schools’ medians. While many of these applicants would have been merely “competitive” a few years ago, today they are offered a full ride. All you need is an LSAT score that is high enough, and a credible intent to accept their offer. So, this Thanksgiving, when relatives dutifully inquire into your progress on “the LSATs”, don’t let your immediate response be “OMG I hate the LSAT!” Even if you don’t feel particularly thankful for it, you have every reason to fake it till you make it.